Please forward this email to all of your favorite Pirates. All proceeds will benefit PACE Place Foundation & ARRO. The course runs through the THPRD Nature Park and finishes at the Project PACE, Inc & ARRO building. Admission is $5 per person, $20 maximum per family. Pay at the entrance of the party. Food, beverages, and raffle tickets are extra. Burgerville is generously sponsoring the Pirate Party and will be at the event selling lunch. The Burgerville mobile kitchen will be serving their full menu. The profits from the Burgerville mobile kitchen during the Pirate Party benefit PACE Place Foundation & ARRO, so please come hungry!! Bring your bathing suit and a towel for water fun. Wear comfy climbing clothes and shoes if you want a ride on the zip line. Check our the carnival games, face painting, and other fun surprises. There will be food and beverages for sale and raffle tickets to purchase for some great raffle baskets. The cost of your ticket provides you with a buffet barbecue dinner, beverages, and dessert. Raffle tickets and casino games are extra. We will have Black Jack Tables and “Putt for Gold” where one lucky Pirate will putt for a possible $10,000 prize. Please indicate how many tickets you would like to purchase. Or, you may purchase tickets at the event. Get a voucher for Burgerville’s August 11th, 2010 special fundraiser for ARRO/PACE. 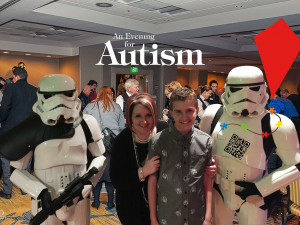 This entry was posted in Autism Activities, Calendar, Fundraisers, Westside Family and Community Center. Bookmark the permalink.